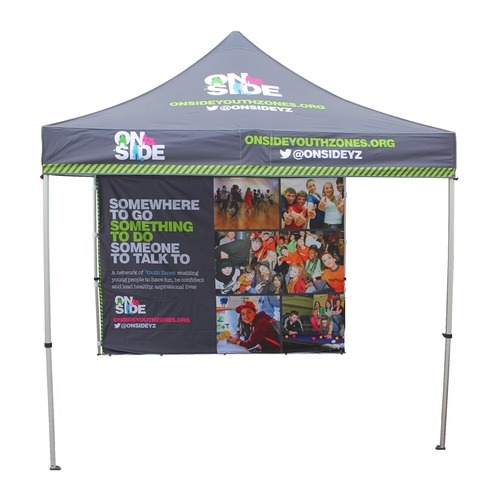 Our value Printed Gazebo range features an aluminium frame design and is perfect for gardens and regular events in good weather conditions. The legs are hex shaped with a 40mm diameter which can also be adjusted to 4 height positions using the leg adjustment buttons. The canopy and side walls consist of 600D polyester which is 100% water and flameproof. All components fit into a roller wheel bag (included). Please contact us and we can supply you with a full pricelist including the hardware, wall graphics and weights.